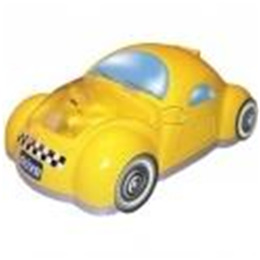 Checker® cab design appeals to children. Available in either yellow or pink. Easy to replace filter is located under the front hood. Electrical cord located under rear hood. Powerful, dependable piston powered pump. Comes complete with ampule, mouth piece, pediatric aerosol mask,tubing, two replacement filters and instructions.